In 1905, Albert Einstein produced five historic papers that shattered many cherished scientific beliefs. One of those papers introduced the theory of special relativity and his legendary equation, E=mc2. Generations have grown up knowing that equation changed the shape of our world, but without understanding what it really means and why it is so significant. In this fascinating biography David Bodanis tells the story of one of the greatest scientific discoveries in history. He looks at the elements 'e', 'm' and 'c'; and honours the scientists whose landmark discoveries paved the way for Einstein. He plots the course of the equation through the twentieth century, showing how our lives have been revolutionized by its applications; and looks far ahead to the future. 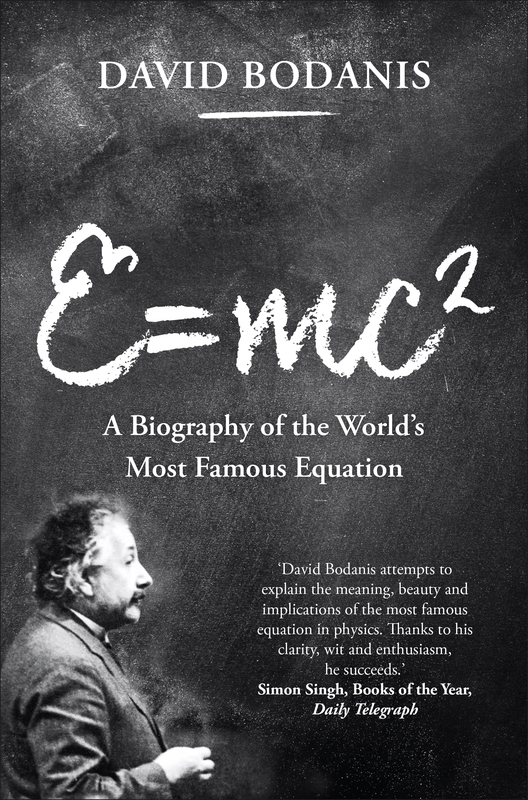 But as with any biography, it is the human stories that really ignite the subject - stories of love, courage and tragedy, of near misses, disappointments and disasters that, brought together by Bodanis in this remarkable book, turn Einstein's seemingly impenetrable theory into a dramatic and accessible human achievement.